Reggie Middleton's BoomBustBlog - Is It Time to Short America?, Part 2: Crony Capitalism Leads to Socioeconomic Stratification - the Rich Get Richer! For the outline that we are working from, reference Is Time to Short America? Macro Risks + Unpredictable Administration / Geopolitical Uncertainty = ?. Two of the Trump administration's biggest selling points are protectionism and tax holidays. Trump has already authorized the building of an $18B dollar wall. This is a monumental undertaking which he already speculated would enrich certain manufacturing companies, reference Some of the Biggest Beneficiaries From Building a Mexican Border Wall May Be Mexican Materials Companies. As a matter of fact, some companies' share prices have already started moving in anticipation (chomping at the bit, so to say) or getting a chunk of that deal, look! Is his pick for Secretary of Transportation, Elaine Chao. Ms. Chao just so happens to be director on the board of Vulcan Materials. Helluva coincidence, eh? I'll give you three guesses, and a bonus round if you still can't catch up, as to who will get a good portion of the $18B wall building businesses when it comes up to bid (or sole source, as it may be). it exacerbates the problem by making the rich people richer and the poor people poorer. So, if tax holidays don't work, and they have been proven not to work in the past, why in the world would Trump, et. al. recommend a tax holiday? The answer is quite simple - follow the money! These are the companies that have the highest holdings offshore, and the best tax/bailout deals with the government. I don't have time to get into the finance dudes, but the tech side drives the message home. Now, does this answer the question as to why Trump will declare a tax holiday if it actually loses money for the American people and costs jobs? Of course it does, just look at the Secretary of Commerce nominee. He's the multi-billionaire, Wilbur Ross. Wilbur is a very, very connected man. Among those connections, he ran the Rothschild's financial arm as Chairman, CIO and Executive Managing Director. 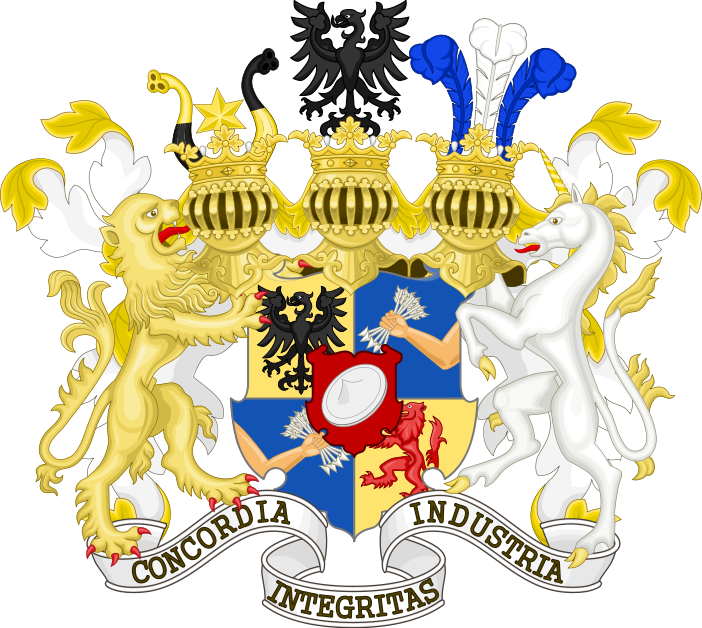 The Rothschild's are one of the oldest money families in the western world, dating back to the 1760s. They control a lot! Now they control the US Presidency through Secretary of Commerce (the Democratic Party cannot block it). What else does he control? Well, he's also Chairman and Chief Strategy Office of Invesco, Ltd. To put this into perspective, Invesco has over $2,000,000,000 of holdings of the yellow highlighted companies in just ONE (1) fund. There are at least 3 to 4 other funds that hold these stocks too. There's no conflict there, is it? Now, to be fair, Mr. Ross has said he would divest of assets that pose a conflict, as I'm sure Ms. Chao has promised as well. Then again... That's what Donald said, wasn't it? Even if he does fully (operative word) divest his linkages and ability to bestow favoritism is not only extant, but strong and deep. Expect Goldman and Rothschilds to take issue in their divvying of the booty. I can go into Trump's wooing of the auto industry, and Mr. Ross's extensive auto industry businesses and connections, but I think you get the point. So, now you know why we can have a tax holiday and and build a wall, when neither is in the country's best interest. For those investors who have running less than $16B or so in AUM, there is actually a need for sustained economic activity uptick, and not the temporary trading spike to be had from these one time machinations. That, I'm afraid, will not happen if these policy proposals actually go through. The last tax holiday that we've had was in 2004, allowing U.S. multinational companies, allowing them to repatriate foreign profits at a 5.25% tax rate. Consequently, corporations repatriated $362 billion into the American economy. That is $456 billion in 2017. These funds were used primarily for paying dividends to investors, repurchasing shares, and M&A activity - basically, the acquisition of financial assets. In 2011, Senate Democrats, arguing against another repatriation tax holiday, issued a report asserting that the previous effort had actually cost the United States Treasury $3.3 billion, and that companies receiving the tax breaks had thereafter cut over 20,000 jobs. A second repatriation tax holiday was defeated in the United States Senate in 2009. We are wavering between moderately and strongly bearish in the medium term. We do acknowledge some trading spikes, hence we are researching long/short trades to minimize some of the risk. My next article will discuss the possibility of stagflation with plenty of data for paying subscribers. See also, Is the Trump Rally Over?